​your brand sparkle & get attention. like Clearline. Below are a few ​examples of the breadth of this work. 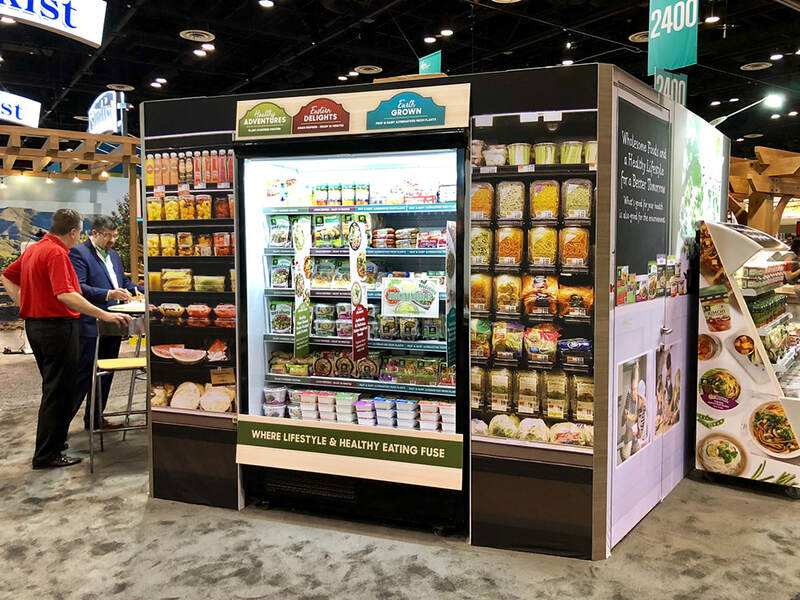 area, a refrigerated display featuring Wildwood along with other Pulmuone brands and a towering backlit display introducing Wildwood and showing their product line. 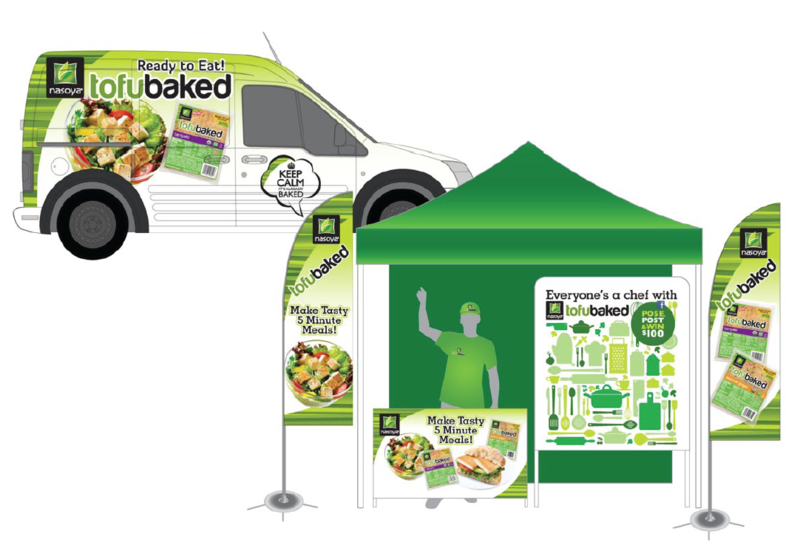 (with built in chiller case) to display the line and simulate what an in-store presentation could look like for retailers. Everyone knows who New Balance is, perhaps its sub-brands - Dunham, Aravon & PF Flyer were a little less well known. 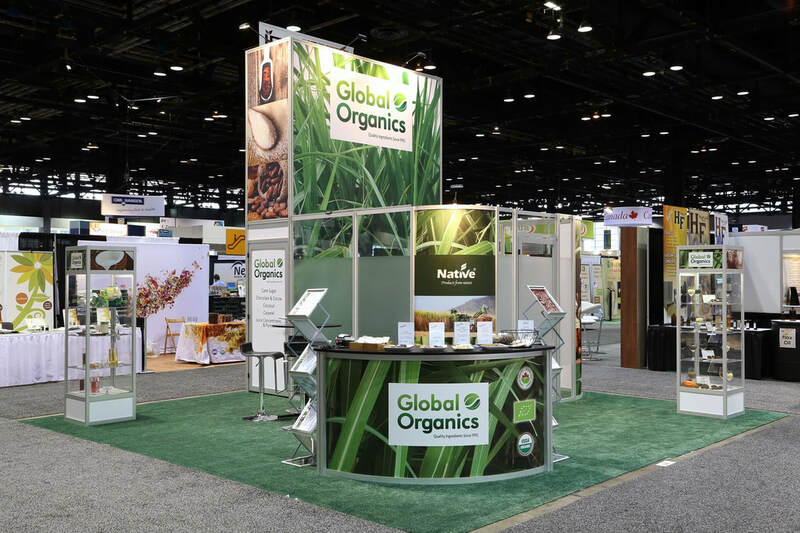 Our challenge was to produce a booth that unified the brands, leveraging disparate photography assets within a very short timeframe. The scale of the booth (this is a front elevation) was a challenge - it housed a full retail store apart from showing the history and current lines. We've seen this booth in action on a couple of occasions here in Boston. 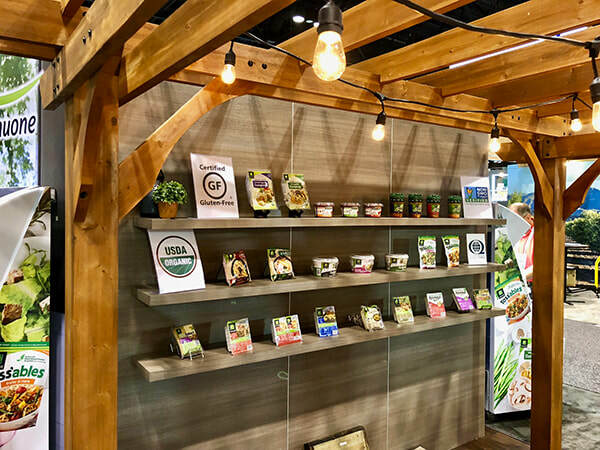 Originally developed for the Boston Fancy Food show, The back of the booth gives attendees the feeling of an authentic French Patisserie, which complimented the incredible selection of baked delicacies on display and offer at the front of the booth. 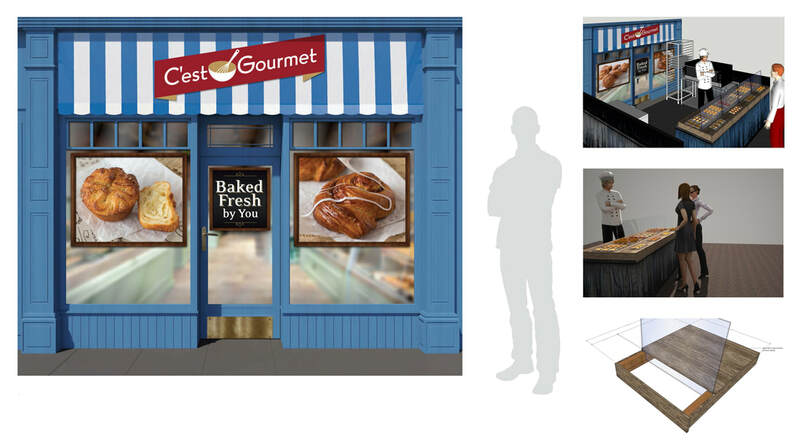 To compliment the booth, we developed a folder and series of sellsheets featuring the complete line of baked goods. 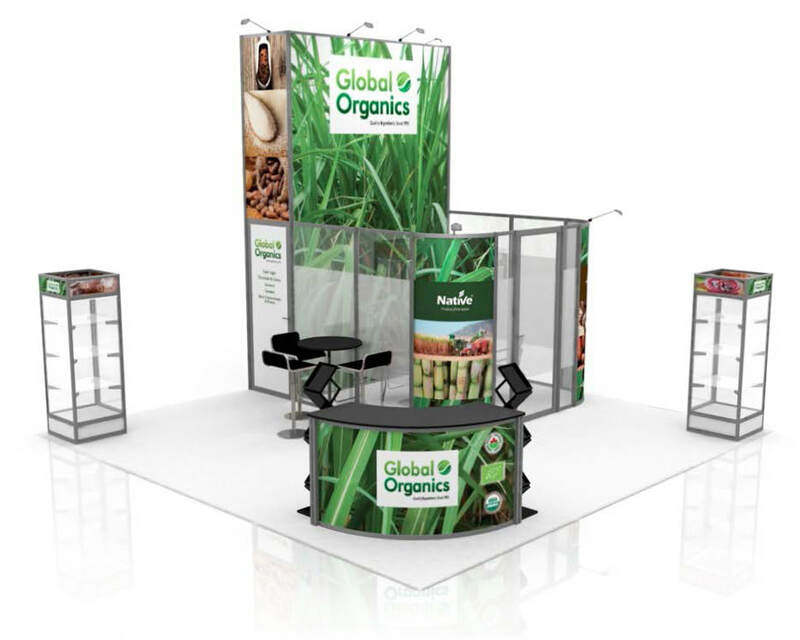 ​trade booth along with a strong print advertising campaign. 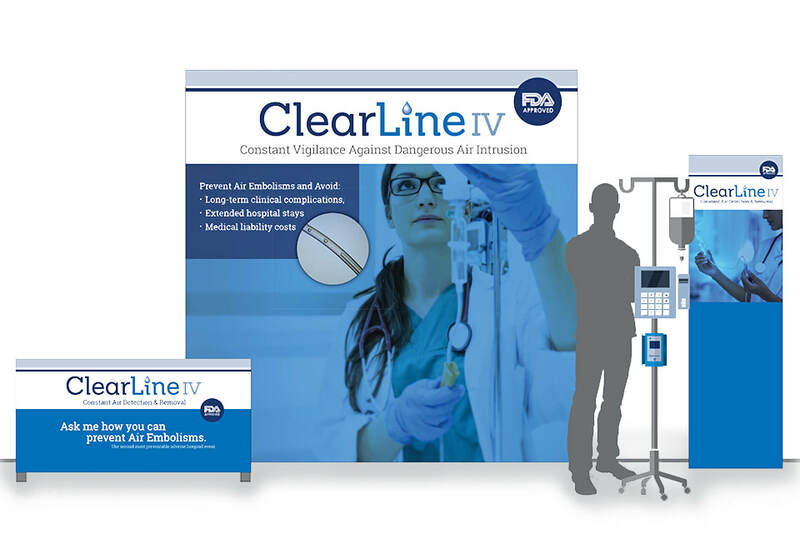 This easy to assemble booth was part of a new brand identity and product launch for this potentially life-saving solution to eliminate air embolisms during IV use. ​- from easy-up back walls to this full size booth at NAB where a new product (Observer) was announced.